To engineer your solutions Desert Aire first internalizes your building plans, design goals and the objectives you have for your indoor environments. 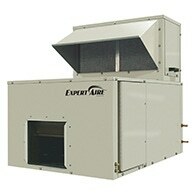 We then translate your needs into purpose-built dehumidification and dedicated outdoor air systems. These provide greater comfort, process accuracy, enhanced IAQ, structural integrity, long life and efficiently use your resources. 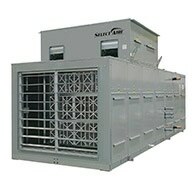 We offer the following equipment and solution types. Meeting goals of building fast pools for competitive swimmers, indoor water parks that create lasting family memories, and therapy pools that heal patients – starts with solutions from Desert Aire. Designing building systems for users that properly condition ventilation air, meet codes, improve air quality, control humidity and conserve energy are all achievable with solutions from Desert Aire. 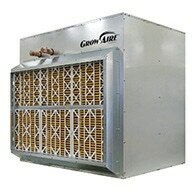 Grow room operators seeking advanced environmental control for better crop yields and traits, as well as to save energy and resources, will find our engineers and solutions truly effective partners. We meet your design objectives once and for all, basing systems on application knowledge, key patents, superior features, quality design and manufacturing, and support to provide solutions that last. Your need for mobile, rugged, durable and dependable small-area solutions to dampness, moisture and humidity are combined in systems featuring large wheels, optional condensate pumps and solid frames.